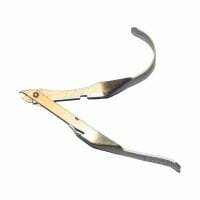 Veterinary skin staplers provide quick closure of simple wounds on animals. 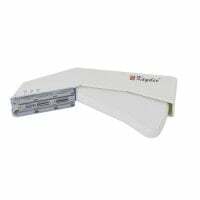 At Praxisdienst, you will find a large selection of skin staplers for veterinary medicine. 1 Pack with 10 pcs. Staple remover in accordance with Michel, modified. 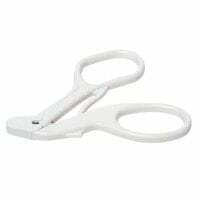 Wound closure on animals with the help of veterinary skin staplers is a popular alternative to classic wound clsoure with a needle and surgical suture. 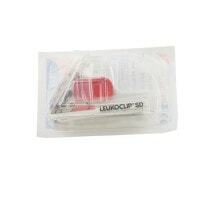 The skin stapler functions similarly to a tacker and reduces the risk of infections in the stitch canal, as the staples do not penetrate the wound gap so that no germs can move in. Often, animal wounds can be treated by veterinary skin staplers without narcosis. 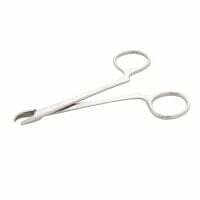 The veterinary skin stapler is popularly used, especially for clean cut wounds like those resulting from surgery because wound closure, in such cases, goes much quicker. In addition to disposable skin staplers that are completely disposed of after use, there are also staplers that can be refilled with skin staple magazines. 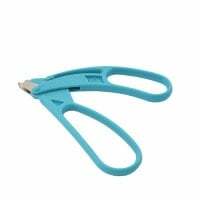 In addition to veterinary skin staplers, Praxisdienst also provides special pliers for removing staples–so-called skin staple removers. These instruments are designed to simultaneously spread and hold the staple, so that it can be pulled out of the skin without any resistance. 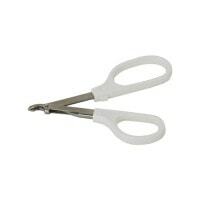 Even these instruments are available as single-use and reusable skin staple removers. 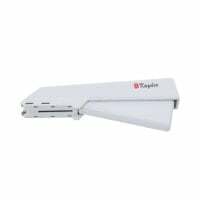 All veterinary skin staplers from Praxisdienst are available at affordable prices. On many products, you can further profit from our attractive bulk discounts. 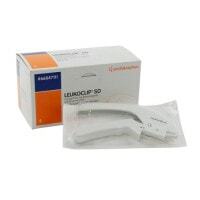 Do you have questions about our veterinary skin staplers or need advice on animal wound closure? Our customer service will happily advise! You can reach us quite simply by telephone, email or live chat.